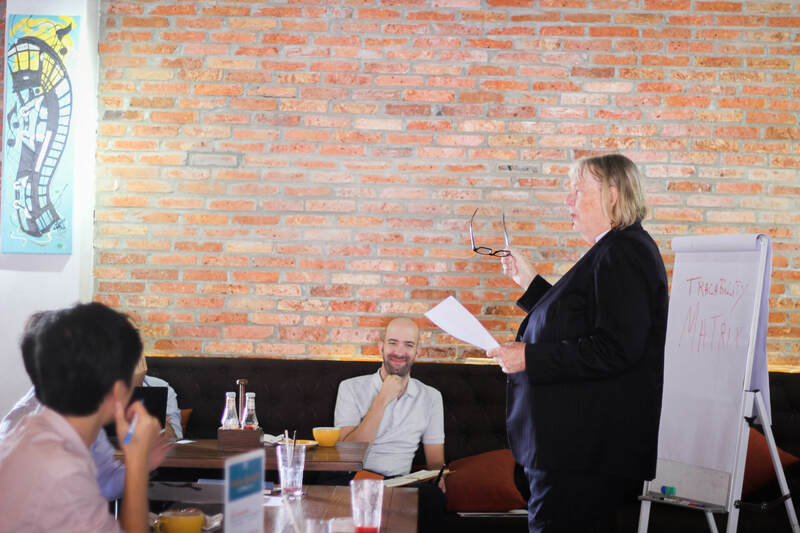 On December 6th, TRG International hosted the TRG Talk: Project Management at our regular place - PJ’s Coffee Sala. The Talk began with Mr. Rick Yvanovich, Founder and CEO of TRG International, introduced this month topic "Improving personal efficiency" and our speaker of the day - Brian O’Reilly, MBA, PMP from Industrial Relations and Technology Transfer centre at VGU. 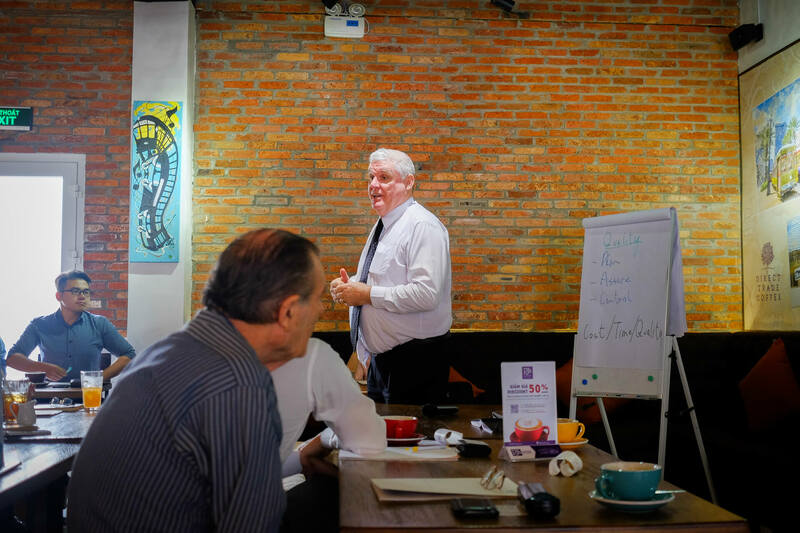 On November 1st, TRG International hosted the TRG Talk - Project Management at our usual meeting place - PJ’s Coffee Sala. 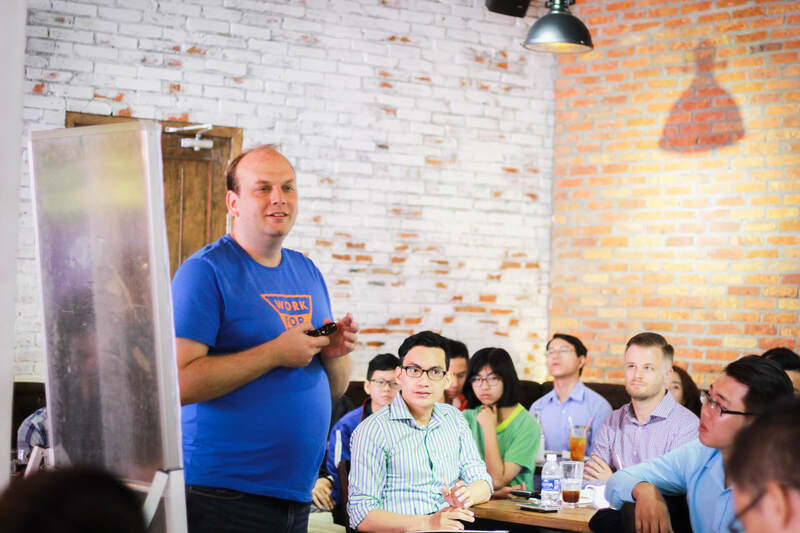 The event welcomed two reputable speakers: Mr Rick Yvanovich (Founder and CEO of TRG International) and Mr Brian O’Reilly (Deputy Director of Industrial Relations and Technology Transfer Centre, VGU). 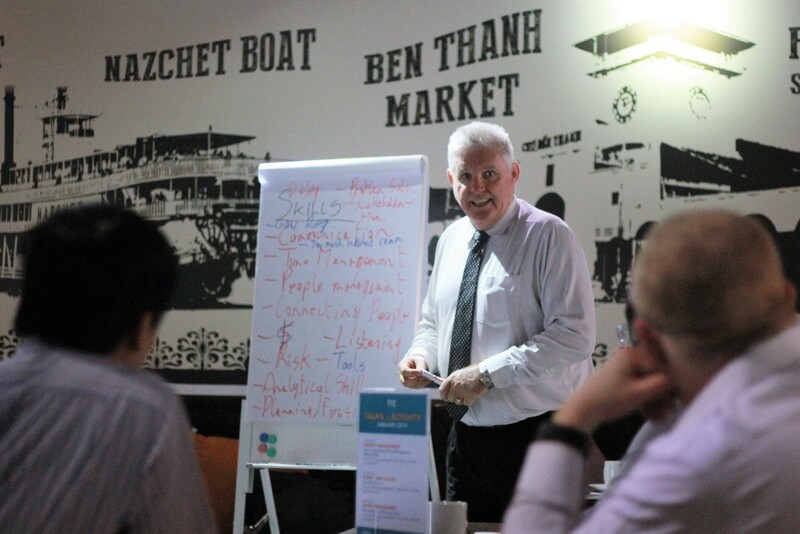 On October 4th, TRG International hosted the TRG Talk: Project Management at the usual place - PJ’s Coffee Sala. The event welcomed Ms Jax (Jackie) Hamilton - Former Global Operations and Client Engagement Consultant. Ms Jackie has more than 25 years of experience as a project manager. She’s been living in different countries around the world, and South East Asia is where she’s been residing for the past 12 years. 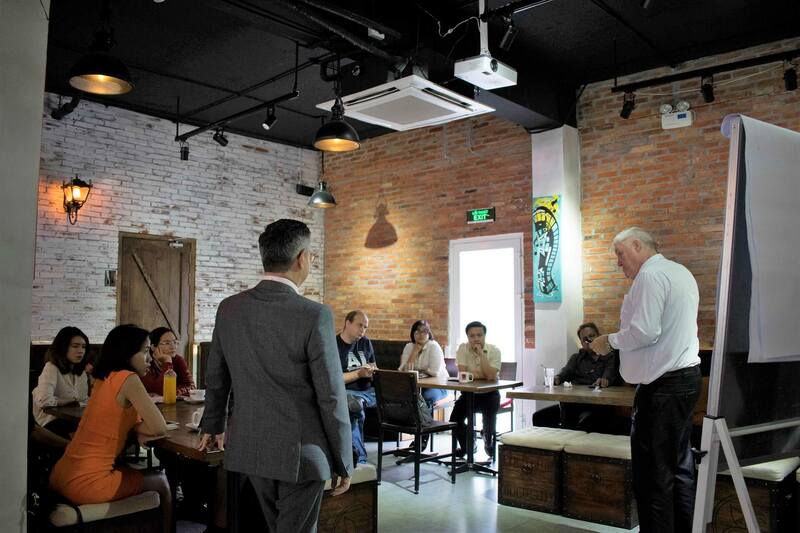 On September 13th, TRG International hosted the TRG Talk at our regular place - PJ’s Coffee Sala. 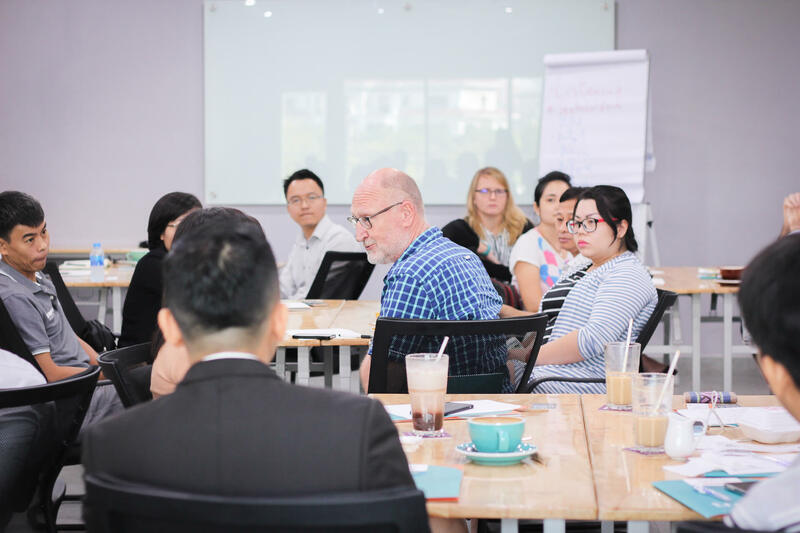 The event welcomed two speakers: Rick Yvanovich, Founder and CEO of TRG International, and Brian O’Reilly, MBA, PMP from Industrial Relations and Technology Transfer centre at VGU. 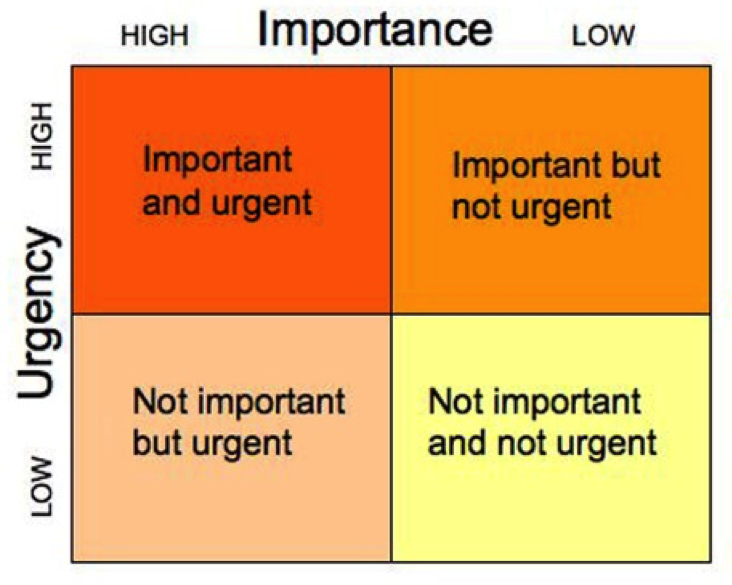 The TRG Talk – Project Management August centralised on the topic "An introduction to Project Risk Management". 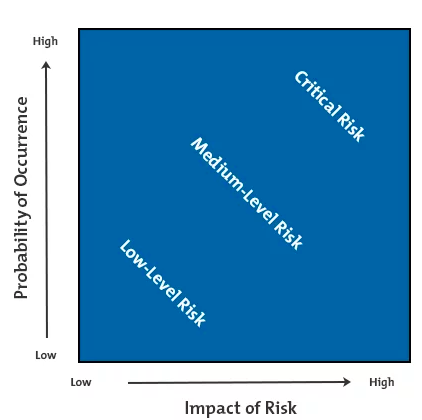 Hosted by TRG International and IPMA, and lead by none other than the reputable speaker - Mr. Brian O'Reilly (Deputy Director of Industrial Relations and Technology Transfer Centre, VGU), the participants stated in their after event review that the talk was very informative with many great tips in managing management-level risks and project-level risks. On July 5th, TRG held the seminar "TRG Talk - Project Management" with the topic "Agile Project Management and Lean Thinking". The seminar was hosted by Mr. Chris Krupp, Executive Coach & Founder, Semdi Solutions, and Mr. Brian O’Reilly, Deputy Director of Industrial Relations and Technology Transfer Centre, VGU. On January 4th, the first TRG Talk on Project Management in 2018 took place with the topic “How to improve project management skills in 2018”. This is an opportunity for participants to review and update on new knowledge of new skills, especially for those who have already been a Project Manager or those who will soon become Project Managers.